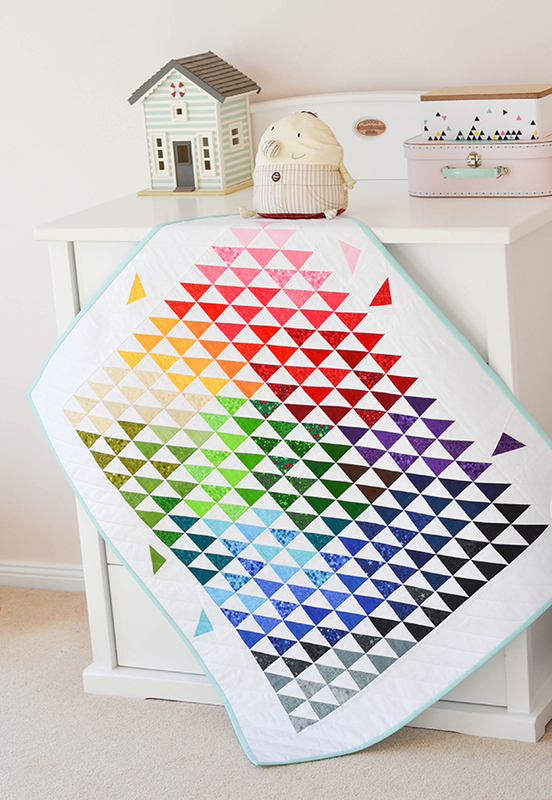 'Playing with Prisms' was the title of a project I saw on the cover of a past issue of Homespun magazine, and I loved it so much that I put it on my 'must-make' list at the time. 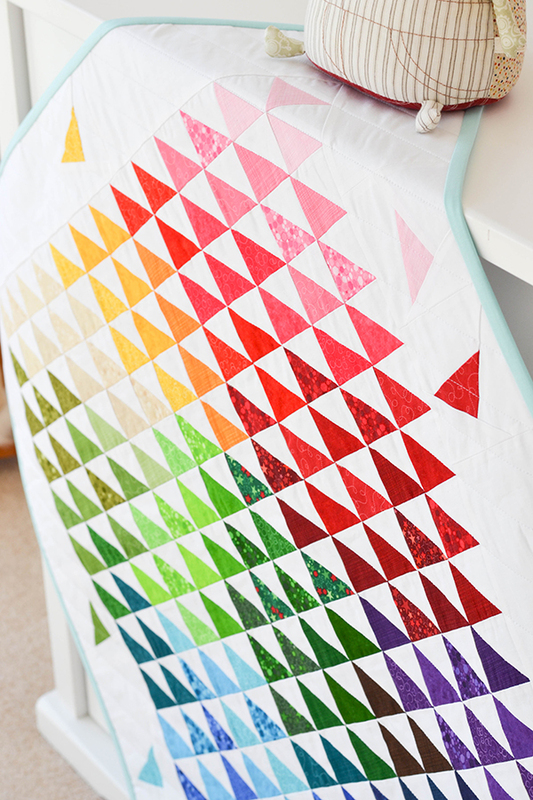 It's a rainbow quilt with a twist - I really love the triangles along the border, just casually tossed onto the quilt. 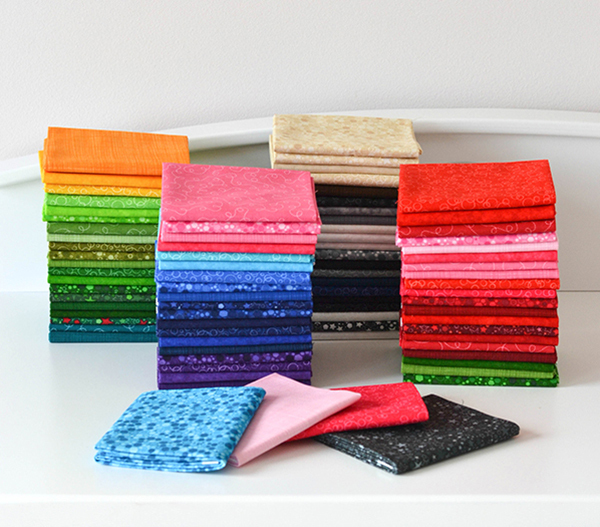 The fabric line I have used is 'Basically Patrick' by Patrick Lose Studios for RJR Fabrics. 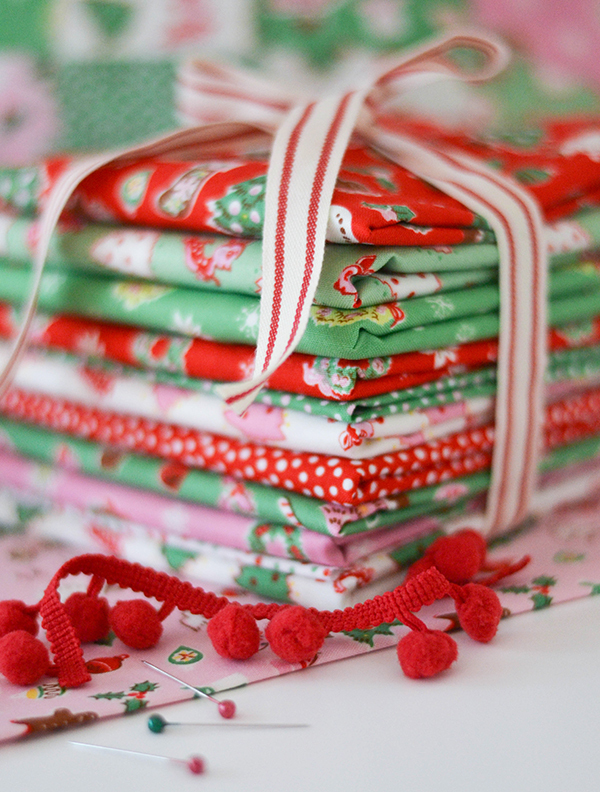 A great line of bold stash basics, with several prints perfect for Christmas sewing also. 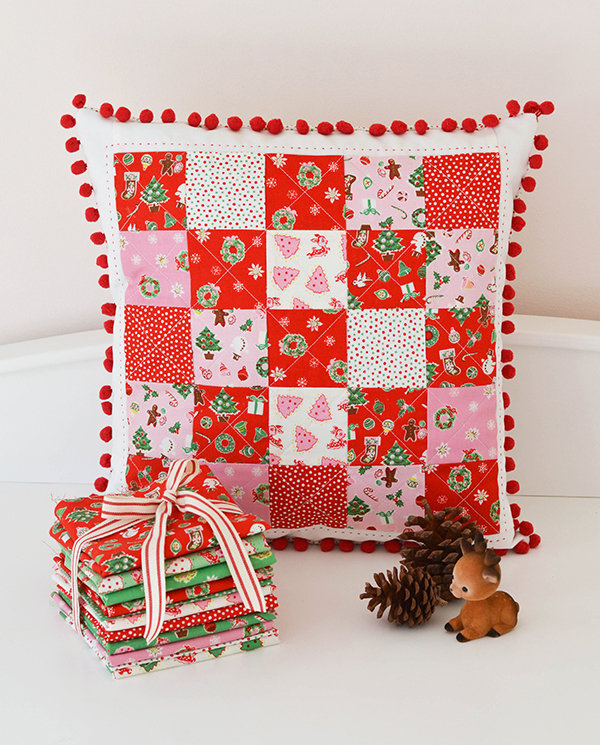 The finished quilt measures approximately 80 x 90cm, each half square triangle block is 2 1/4 inch square. I highly recommend nesting your seams when assembling the rows for a neat finish. 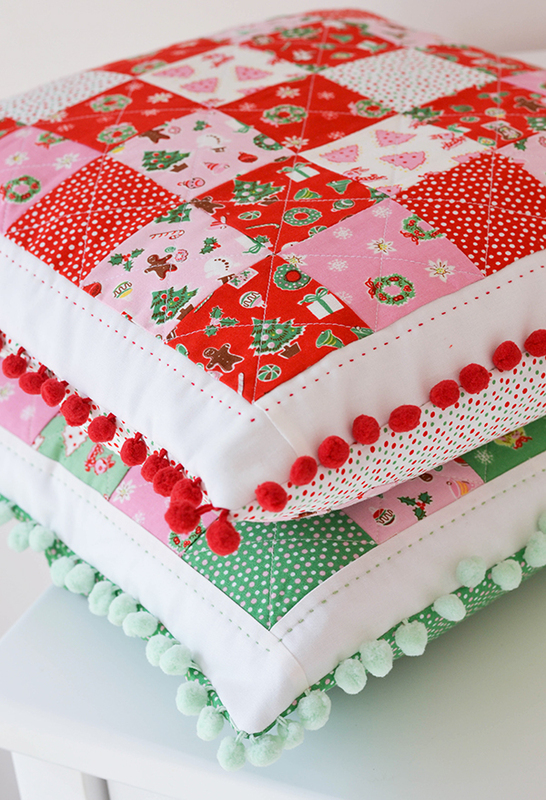 I quilted mine on the diagonal, stitching in the ditch along the long edges of the triangles. Free motion quilting would have been better, but I was too chicken to try it out on this quilt top, which took me a million hours to piece! 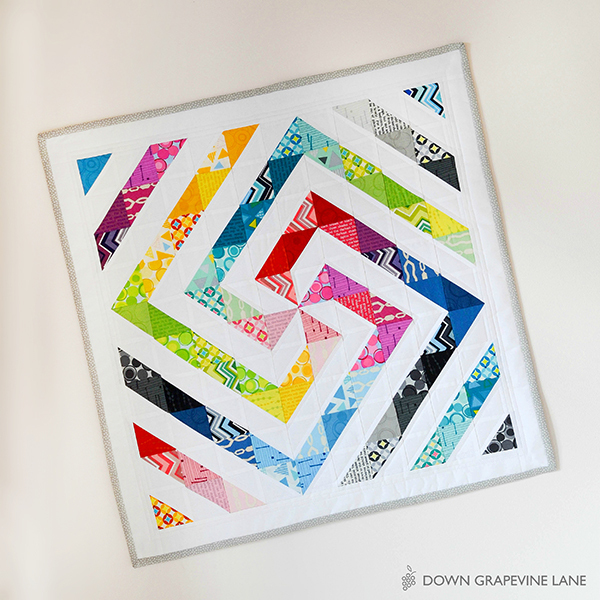 FMQ is on my 'to-learn' list for this year though, now that I have a super-duper sewing machine with all the right feet and everything. 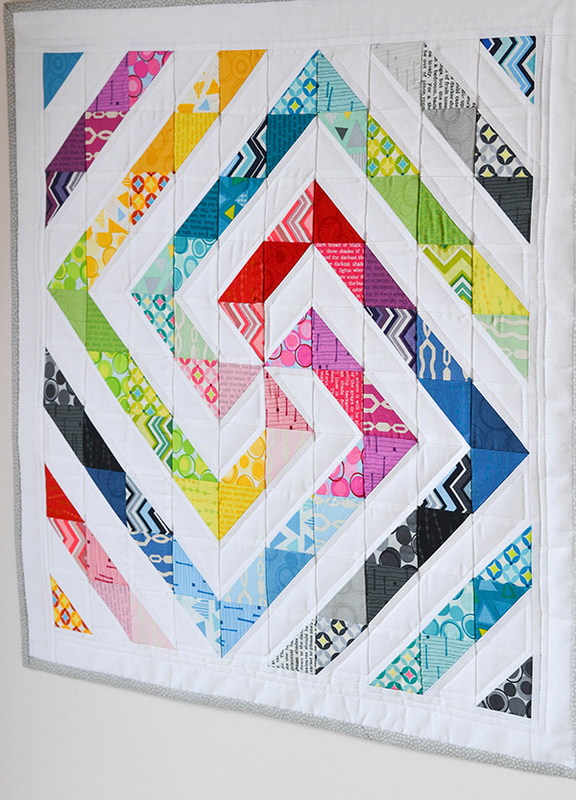 The quilt pattern is by Megan Fisher from the March 2014 issue of Homespun magazine (which, incidentally also features my sewing room!). Back issues are available worldwide by contacting mailorder@universalmagazines.com.au. 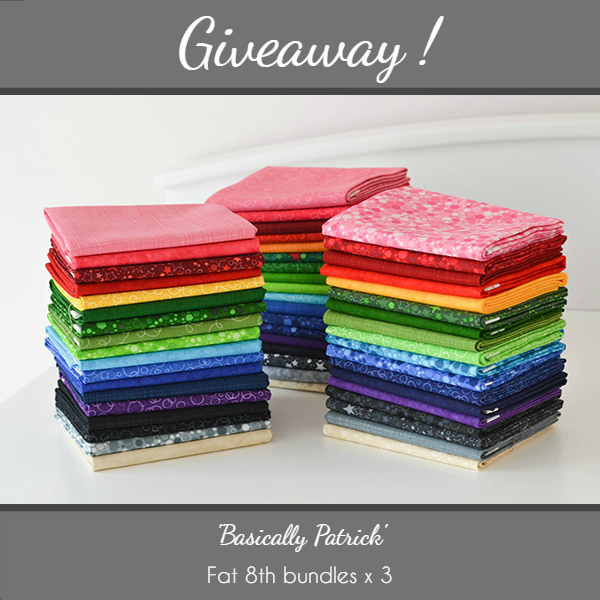 Would you like to win a fat eighth bundle of 'Basically Patrick' to make your own rainbow quilt or other colourful project? 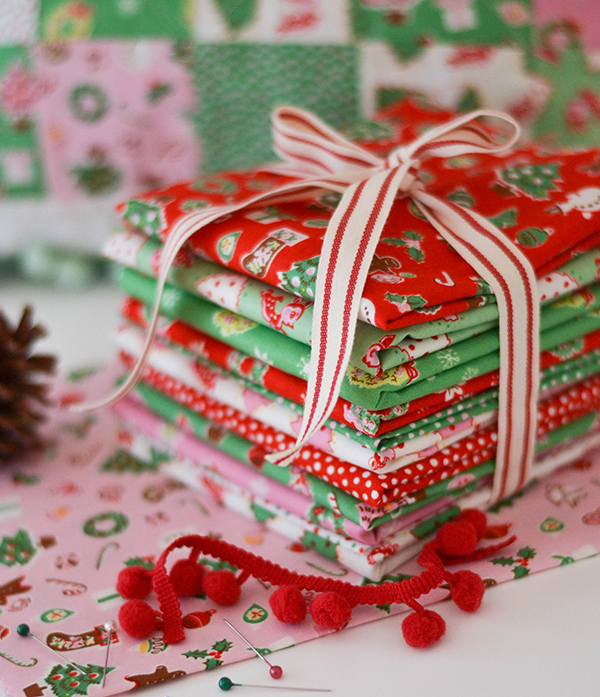 Just leave a comment below telling me what you would make with the bundle if you won. Entry is open worldwide, I will announce the three winners on 4 June, Thursday. Good luck! THE COMPETITION IS NOW CLOSED. 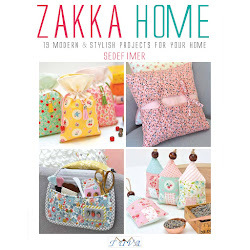 The winners are: Ann Sehlmeier, Anorina (Samelias Mum) and Xanthe @ Wife-made! Congratulations ladies!! 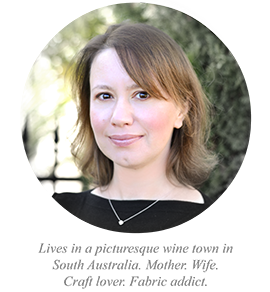 Please send an email to sedef@downgrapevinelane.com with your details so I can send out your bundles! This was one of those projects where the end result was nothing at all like what I had envisaged when I first started out. 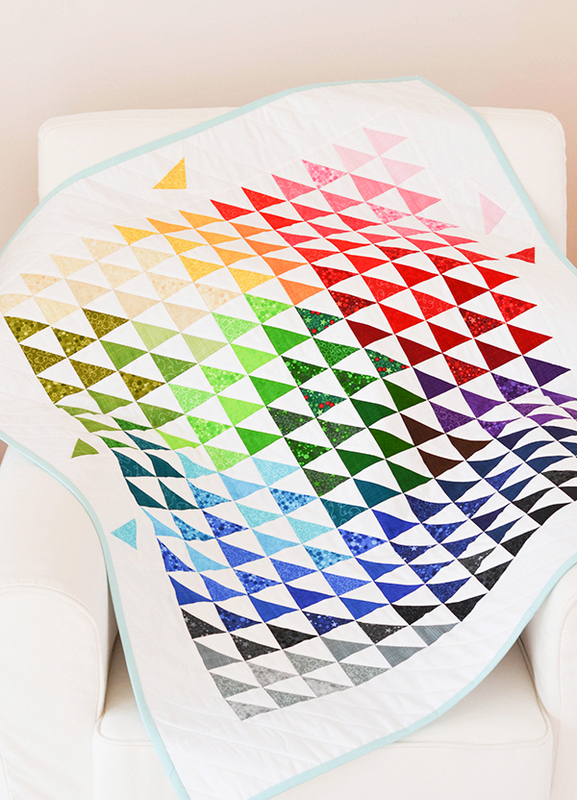 When I received the gorgeous L's Modern 2015 Spring Collection by Lecien, I knew I had to do a rainbow quilt of some sort, and that I wanted to play with some half square triangles and see what I could come up with (this is SO not like me, normally I like to plan my quilts down to every single detail before my scissors even touch the fabric). 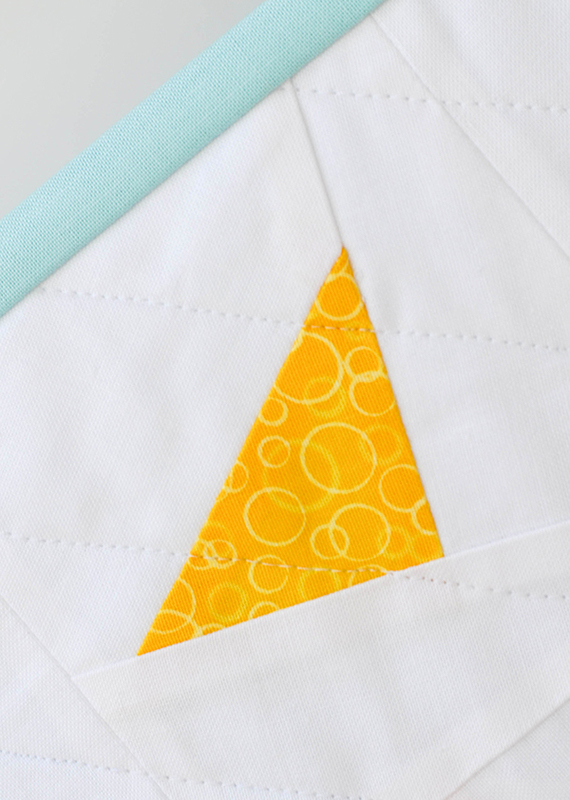 So I set about making a collection of HSTs, two from each print in the line. Then I started laying them out randomly and seeing what funky patterns I could come up with. And out of the randomness emerged this swirly shape as a clear winner. 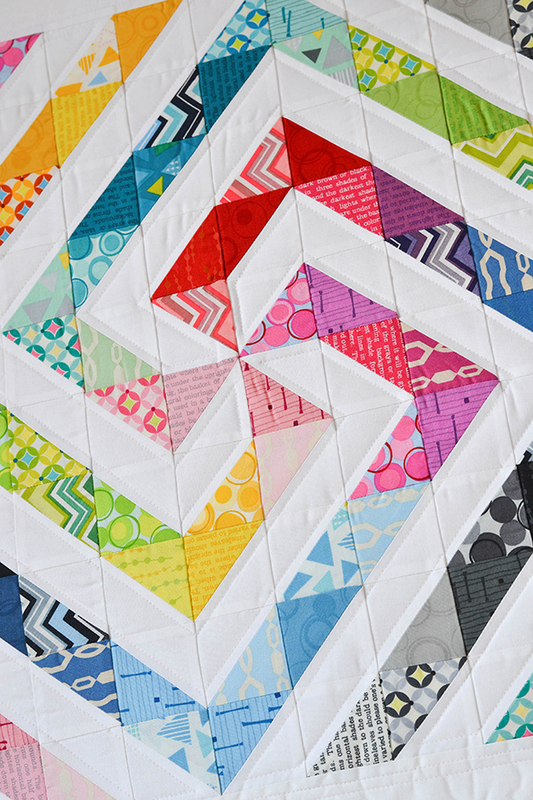 To me it looks like a turning pinwheel with ribbons attached to each point of the pinwheel! 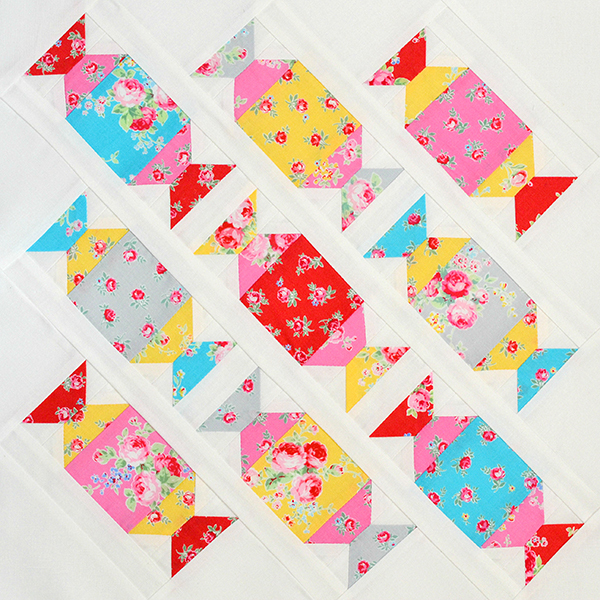 I was sure I would have loads of HSTs left over, but I used every single one. 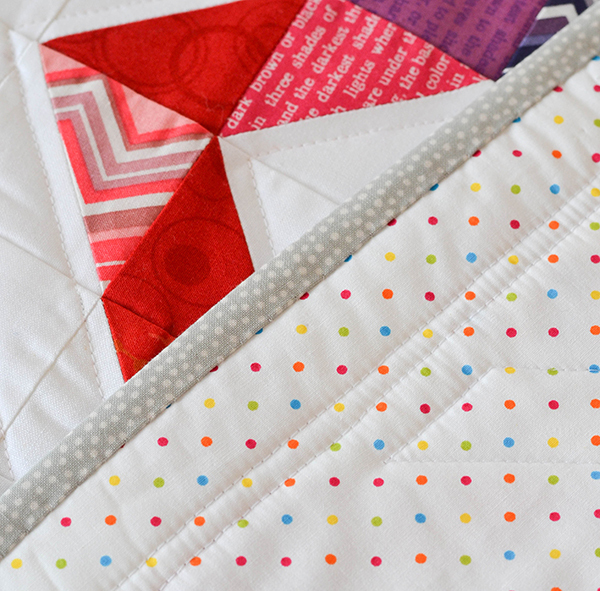 And I only had to make an additional 5 or so HSTs to complete the whole pattern. To say I am pleased is an understatement! I love it so. With the left over scraps I made some wall art for Alice's room. 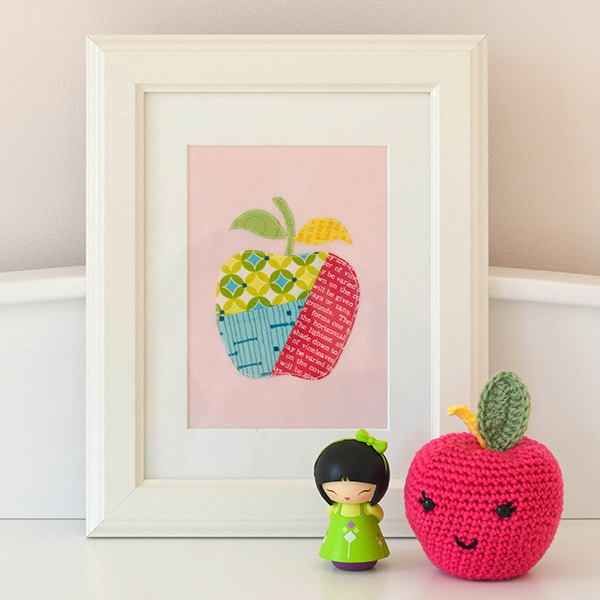 She is massively into apples at the moment, and it was time to update a couple of the nursery prints on her walls: she is definitely no longer a 'baby' (though she will always be my baby of course). They only took me 15 minutes each, I pieced three scraps of fabric together randomly, applied fusible web on the wrong side of the pieced patchwork, drew an apple shape on the backing paper, trimmed, applied it onto backing fabric, then topstitched all around 1mm from the edge (this technique is called raw-edge applique for those who are not already familiar with it). And hey presto, a lovely apple wall art! In fact, I made two. 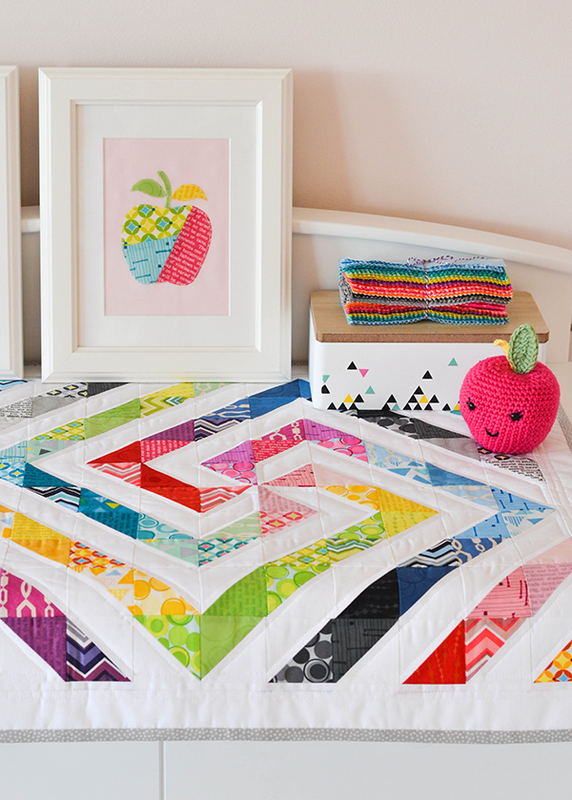 Recently I have been enjoying working with bright bold colours, the ABC quilt that I am continuing to work on (slowly!) also features bold florals. 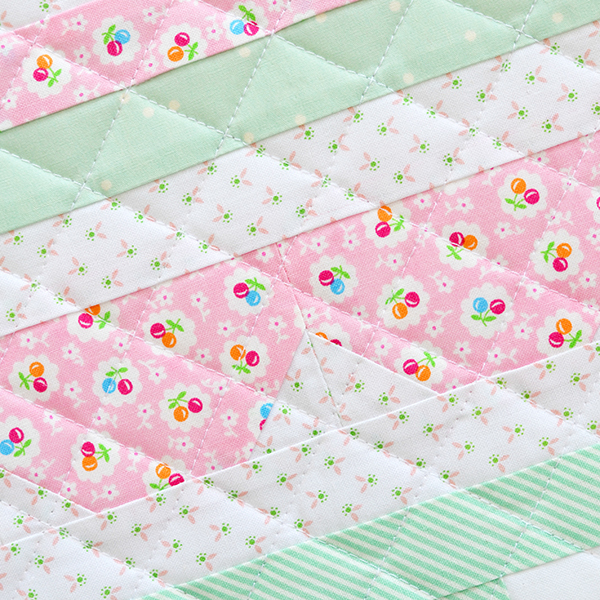 It's an exciting departure for me from my beloved pastel florals and dots. 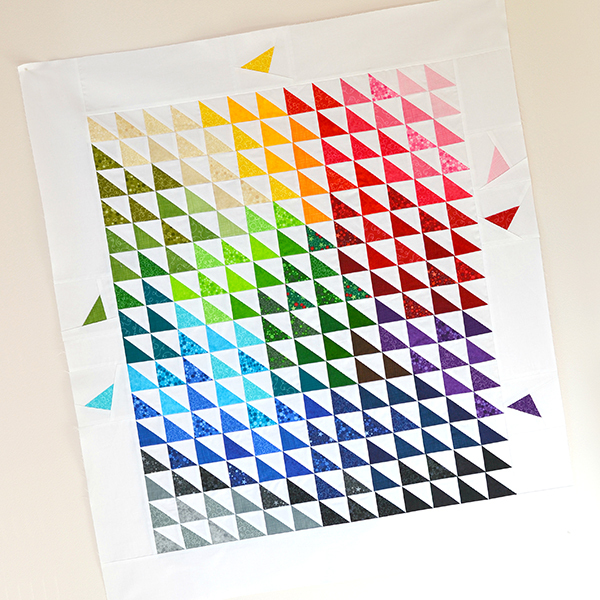 In fact I enjoyed making this rainbow quilt so much that I have just started cutting HSTs for another rainbow quilt. This one is going to be bigger! 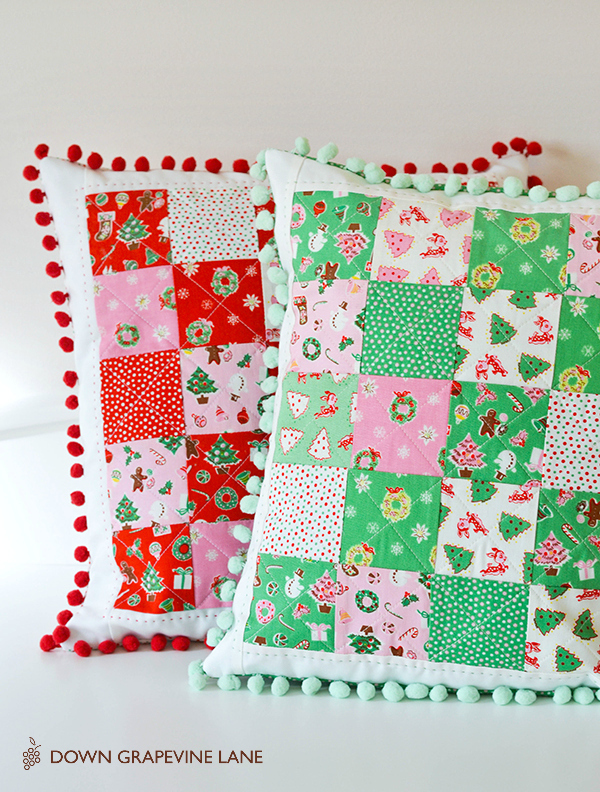 I know, I know - it's crazy that I am doing Christmas sewing already! 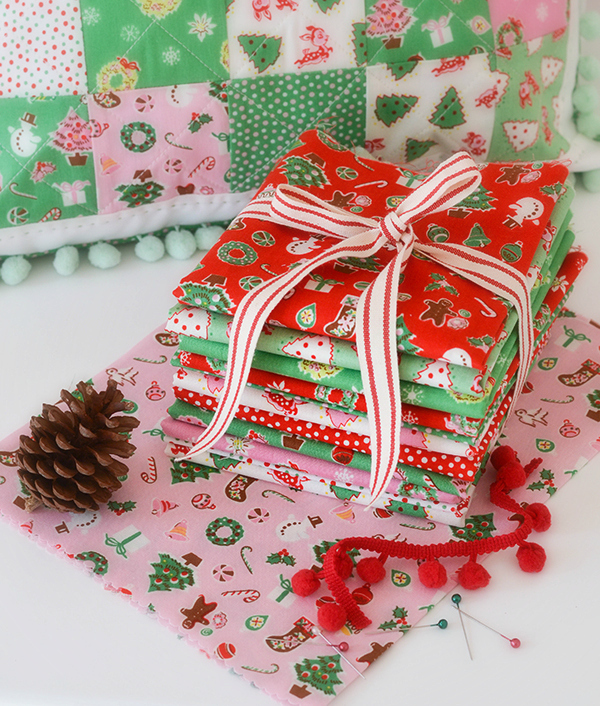 But I simply couldn't wait when a bundle of the MOST gorgeous Christmas fabric landed on my doorstep recently. 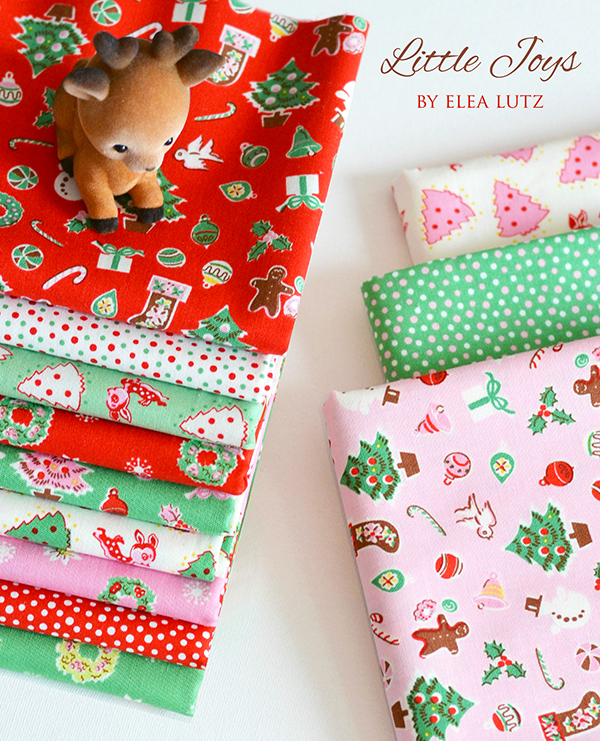 It's 'Little Joys' by Penny Rose Fabrics, designed by the very talented Elea Lutz (who is not only an incredible designer but also such a sweetheart). 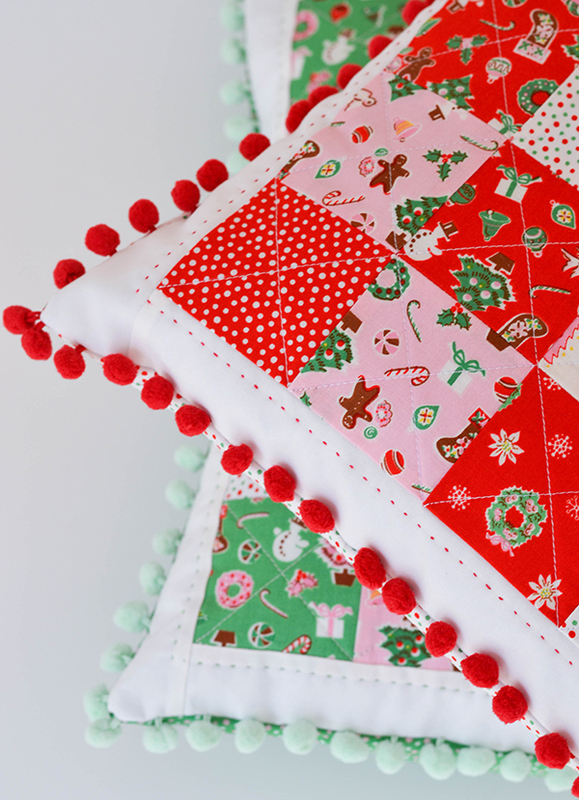 This line is coming in June, so start planning those Christmas projects! 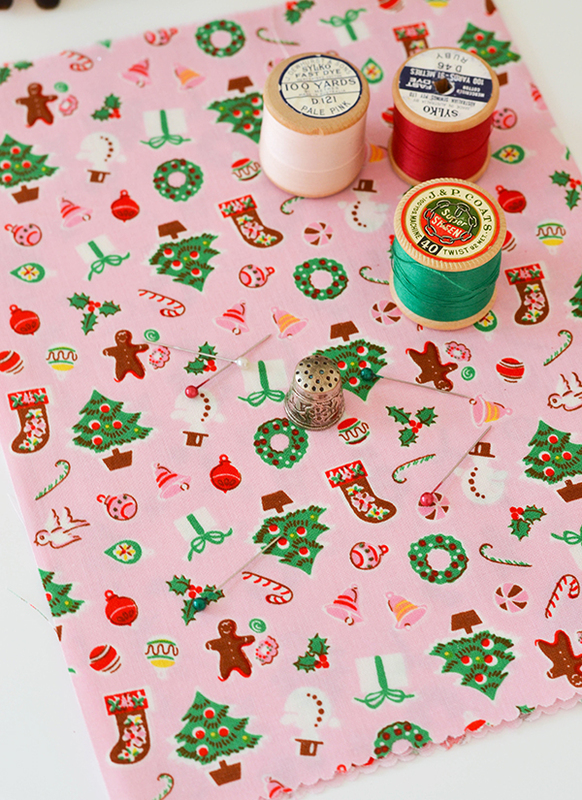 Christmas trees, baubles, gingerbread men, candies, holly leaves, deer... Was there ever a sweeter Christmas line? 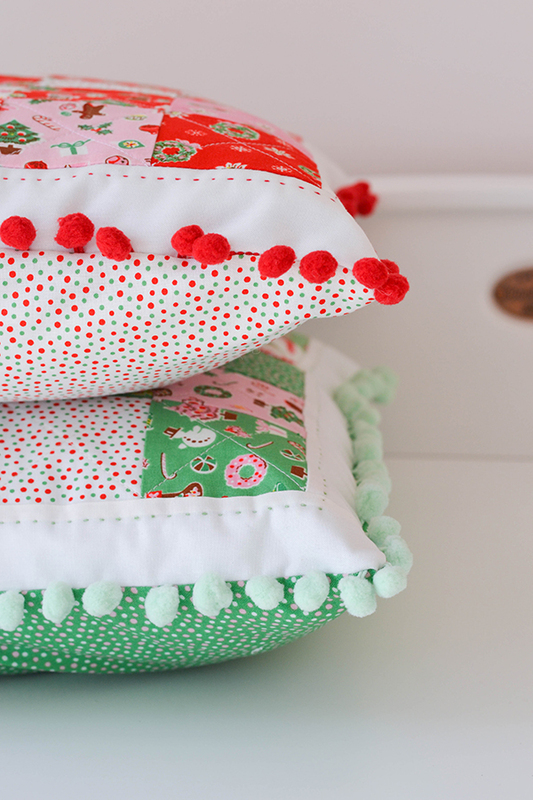 And this is what I made with them - a pair of pompom cushions in the green and red colour-ways. 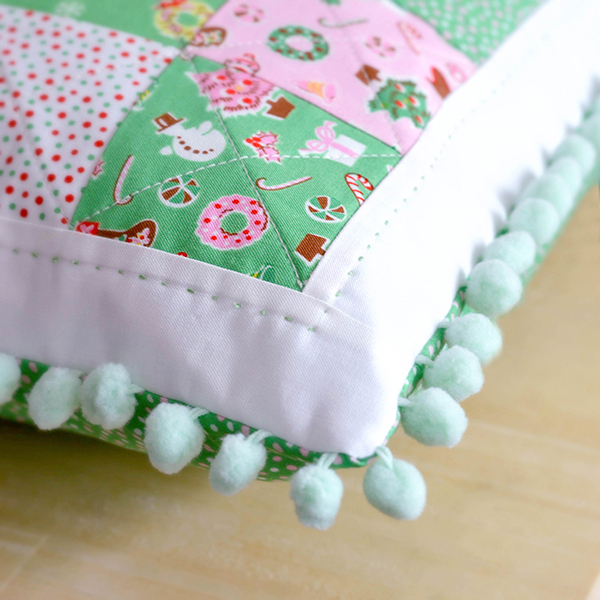 This was my first time using pompom trim on cushions. I thought it would be very fiddly but actually, it was OK. Not half as bad as I feared. 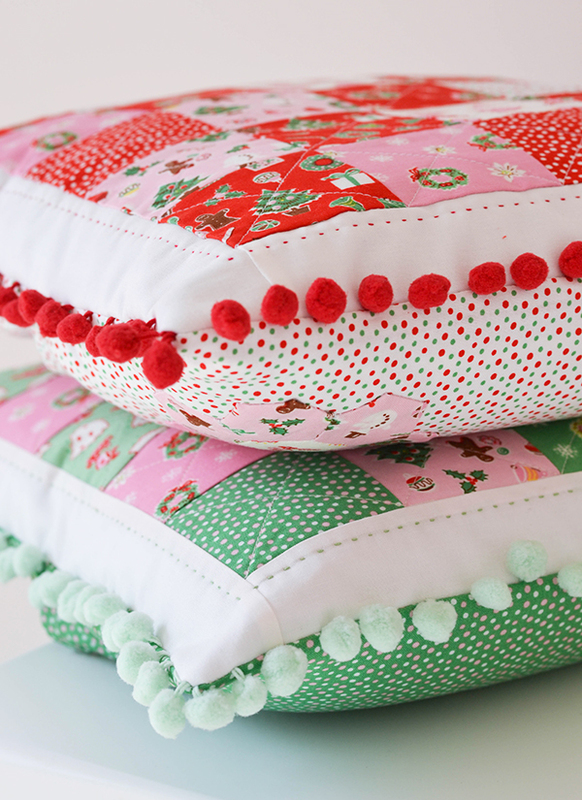 And I love the sweet feel they give to the cushions. 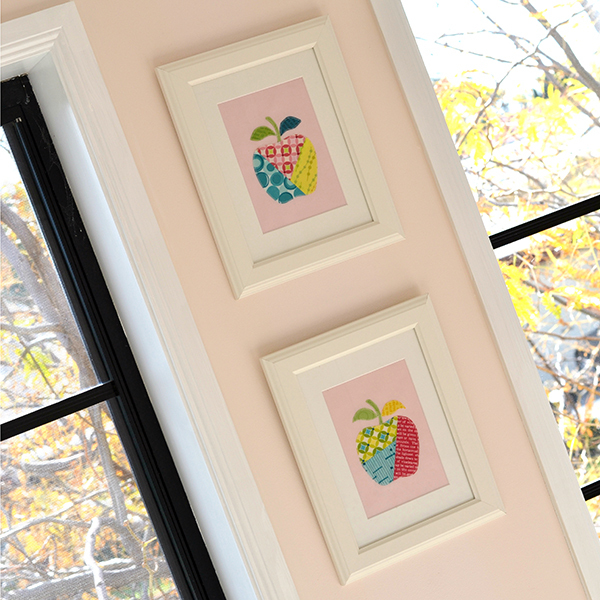 This print here is my favourite of the whole line - it's called 'Goodies Pink'. I need a bolt of it! 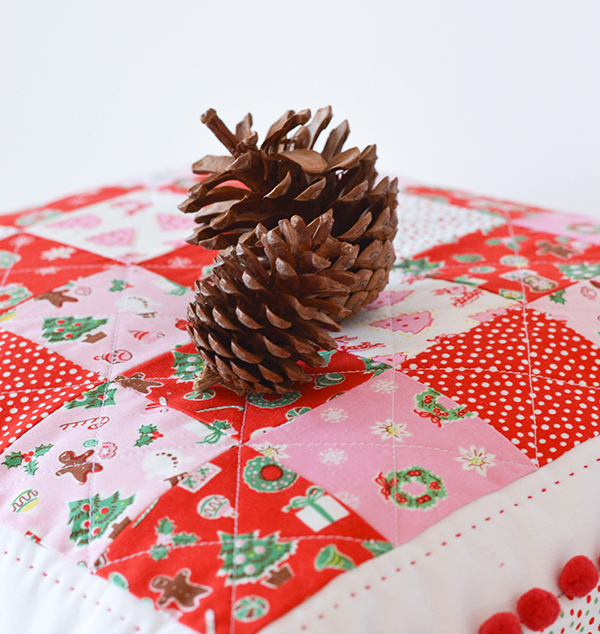 It's perfect for fussy cut hexies too (see detail from the back of one of the cushions). These cushions will be perfect in our lounge at Christmas time. 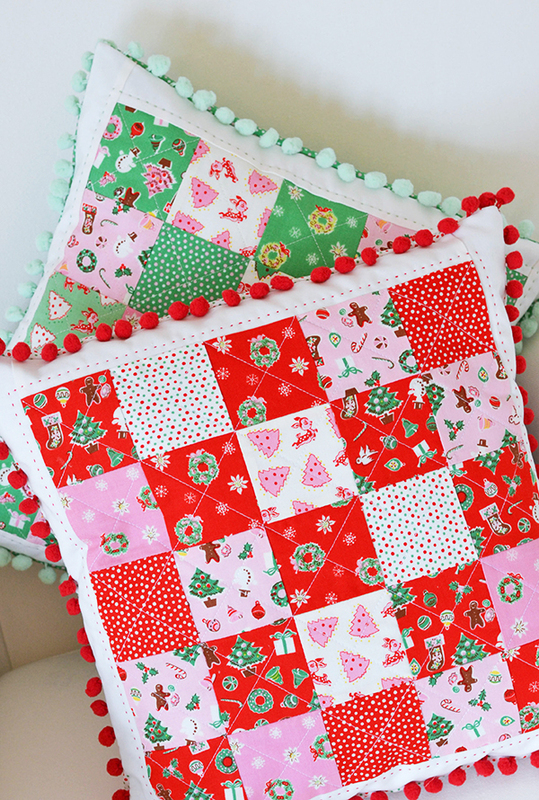 I think I need to make a matching Christmas quilt or tree skirt too, don't you? 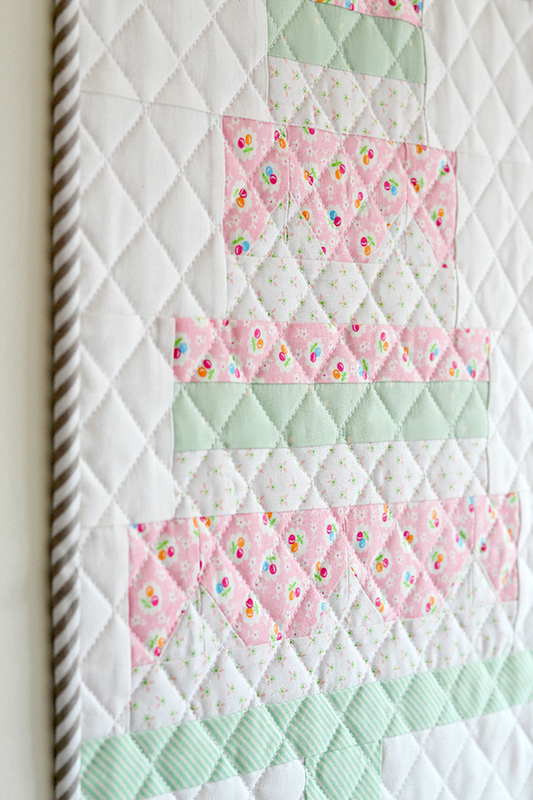 Do you remember this mini quilt top I showed you way back in March? It was a thank you gift I made for a wonderful online friend I met in Instagram-land - the lovely Sam (@paeoniasfz on Instagram) who so generously shared some of her super-rare fabric stash with me. 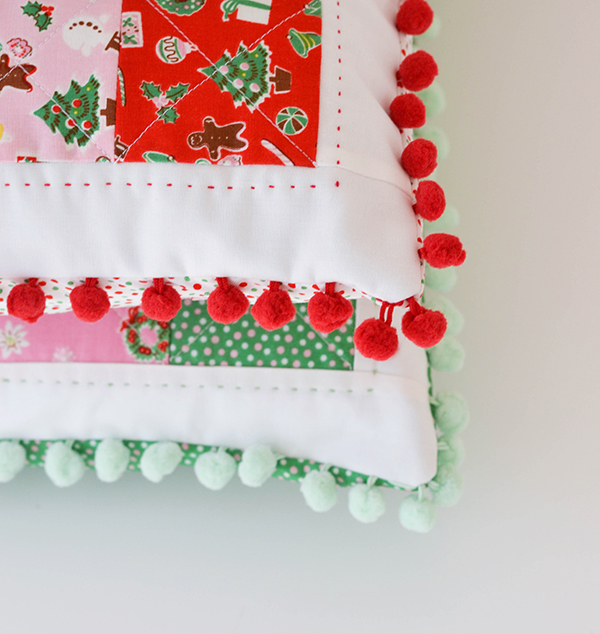 She is also crazy talented and has one of the prettiest craft feeds on Instagram. 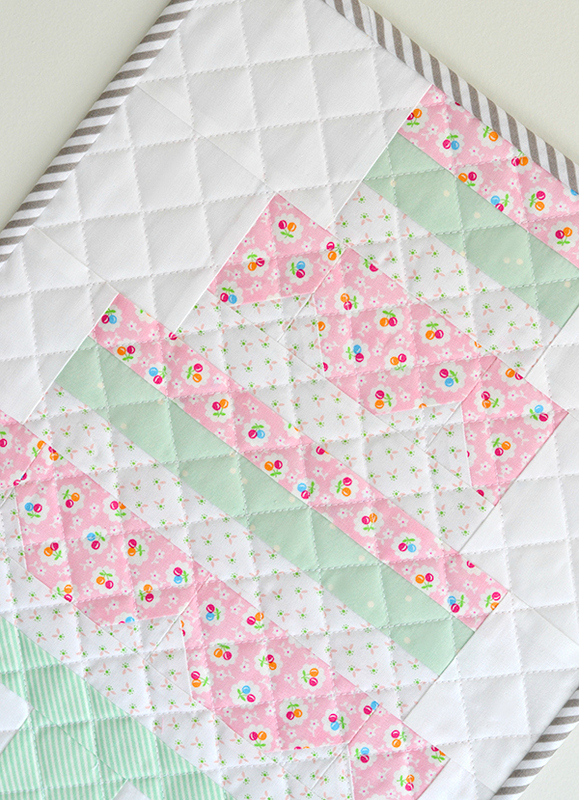 I can finally show you the finished photos of the mini-quilt as she has now received it. 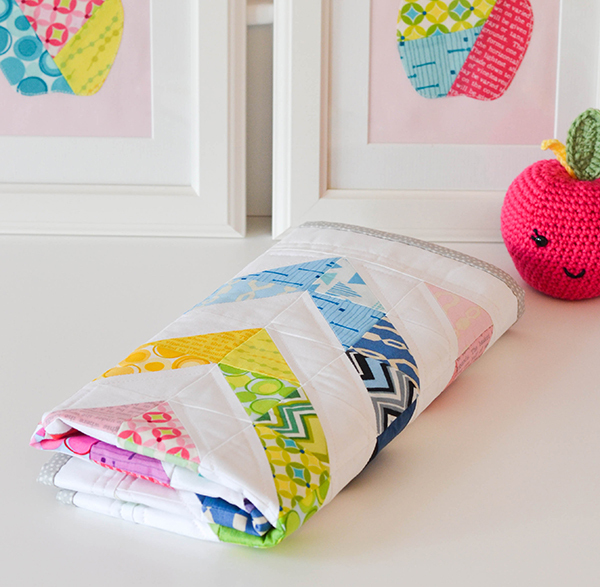 The pattern is block 1 of the Snapshots Quilt-along hosted by the Fat Quarter Shop, for the benefit of St. Jude Children's Research Hospital, to help advance cures and means of prevention for catastrophic pediatric diseases. 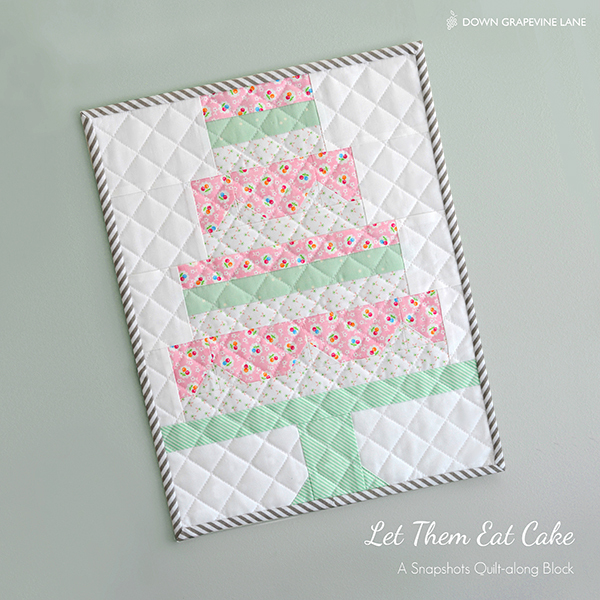 Please consider donating $5 to this cause if you download the pattern. 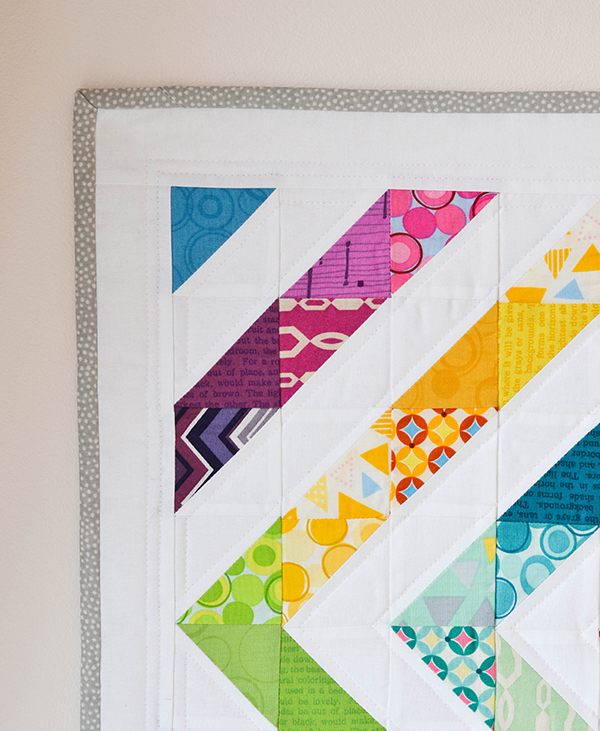 On a side note, Instagram has an amazing quilting and sewing community! I have made so many new 'friends', discovered some unbelievably beautiful feeds and get so much inspiration daily that it makes my head spin. So if you are not on Instagram yet - jump on it! You won't regret it, one word of warning though - I can promise that your to-do list will expand ten-fold in a very short space of time. 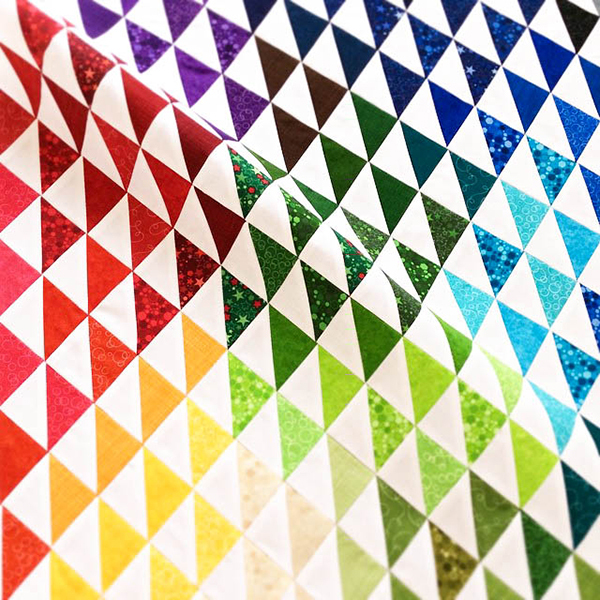 Currently there are lots of new fabric releases in the run up to the spring quilt market, so yet again I have way too many projects either on-the-go or in the planning stages. 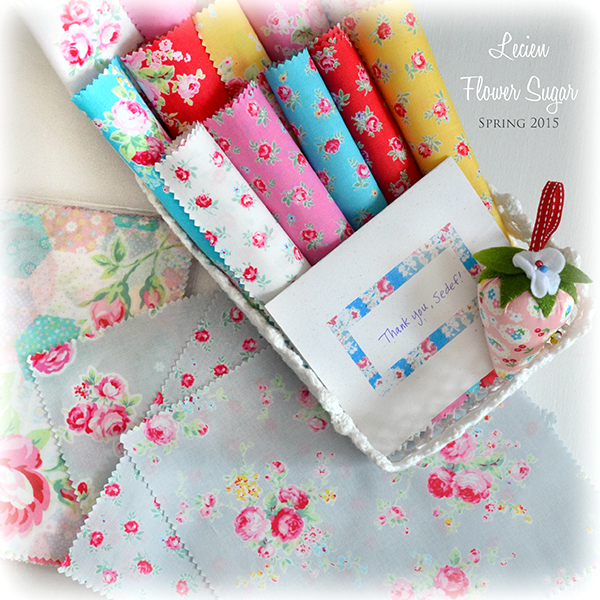 I have received an amazing parcel full of Lecien's latest lines, including the new Flower Sugar Spring 2015 (which has a grey colourway!!!). 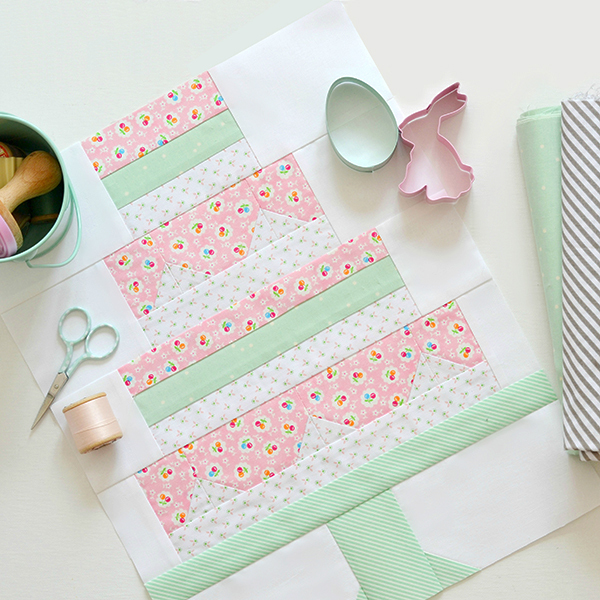 I am currently making the Sugar Candies mini designed by lovely Nadra from Ellis & Higgs using these - the fabric and the pattern are a match made in heaven! I have just finished the quilt top, quilting and binding next. 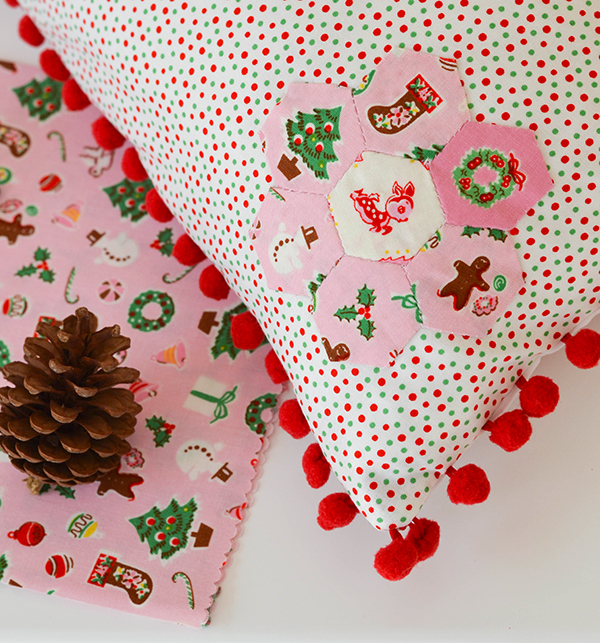 I am also making two cushions featuring Penny Rose Fabrics' gorgeous new Christmas line, Little Joys (designed by the lovely Elea Lutz who is not only super-talented but also such a sweetheart) - those following me on Instagram would have seen a sneaky pic of the first cushion. After that I have two more Lecien projects lined up, one with L's Modern 2015 Spring and the other with the sweet Retro 30s Child Smile 2015. 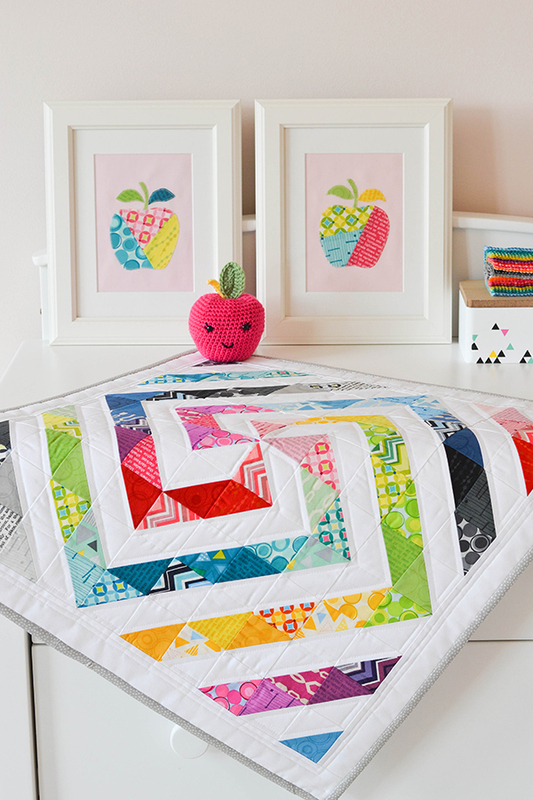 Oh and I am pattern testing some fruit blocks for another Instagram friend (the lovely @frampuna) and taking part in a block swap featuring Bonnie & Camille fabrics . And trying to keep my house and kids clean(ish) and keep my family well fed with decent food. So my life is busy busy but it's a good 'busy'. I am having a ball in fact, and can't wait to share all of the above (and more!!) with you real soon.